The Special Mentions of the European Union Prize for Cultural Heritage / Europa Nostra Awards 2016 were made public today by Europa Nostra and the European Commission. This year, the Awards Juries granted Special Mentions to 14 heritage achievements from nine European countries taking part in the EU Creative Europe programme. The Special Mentions are given to outstanding contributions to the conservation and enhancement of heritage which are particularly appreciated by the Juries but which were not included in the final selection to receive an Award. 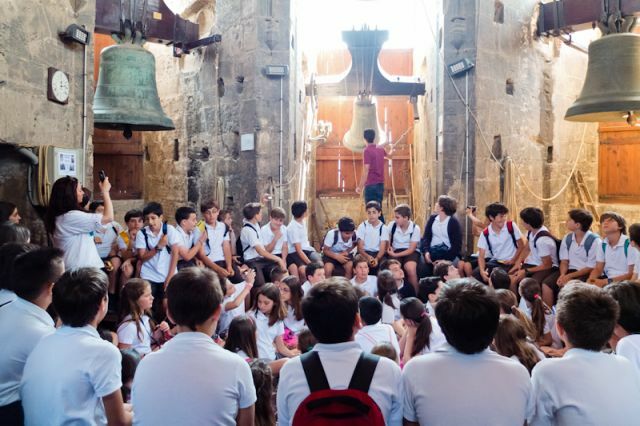 The Awards Juries accorded Special Mentions to three achievements from Spain, the host country of the European Heritage Congress 2016: in the category Research, the publication ‘The hydraulic heritage of the province of Alicante’; and in the category Dedicated Service, Mr. Ramón Mayo Fernández and Valencia’s Cathedral bell-ringers. The Special Mention recipients from Spain will be presented with the certificates by the Juries Chairpersons during the European Heritage Awards Ceremony on the evening of 24 May at the Zarzuela Theatre in Madrid. Special Mentions of the Europa Nostra Awards were also given to two projects from European countries not taking part in the EU Creative Europe programme.